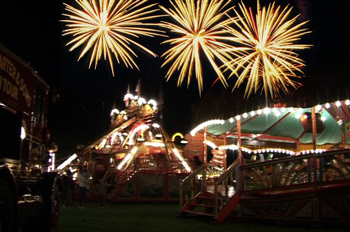 Come and see a great free firework display at the Carters Steam Fair Saturday 21 May 2011 in Park Road, Hayes End, London UB4 8QH. We supply fireworks and fire free shows for Carters throughout London and the south east. Join us and end your evening with a party atmosphere. If you're interested in learning more about pyrotechnics and behind the scenes you can attend a free training available at the event - call 020 8896 2866 and find out more.